The 2017/18 season was a story of so close, yet so far. Our Lowland League Cup journey followed much the same pattern as our other competitions, the lads running out of steam in the semi-final with a tight 2-1 loss away to Selkirk – in the end, our big 7-0 wins at the expense of Vale of Leithen and Cumbernauld Colts were in vain. 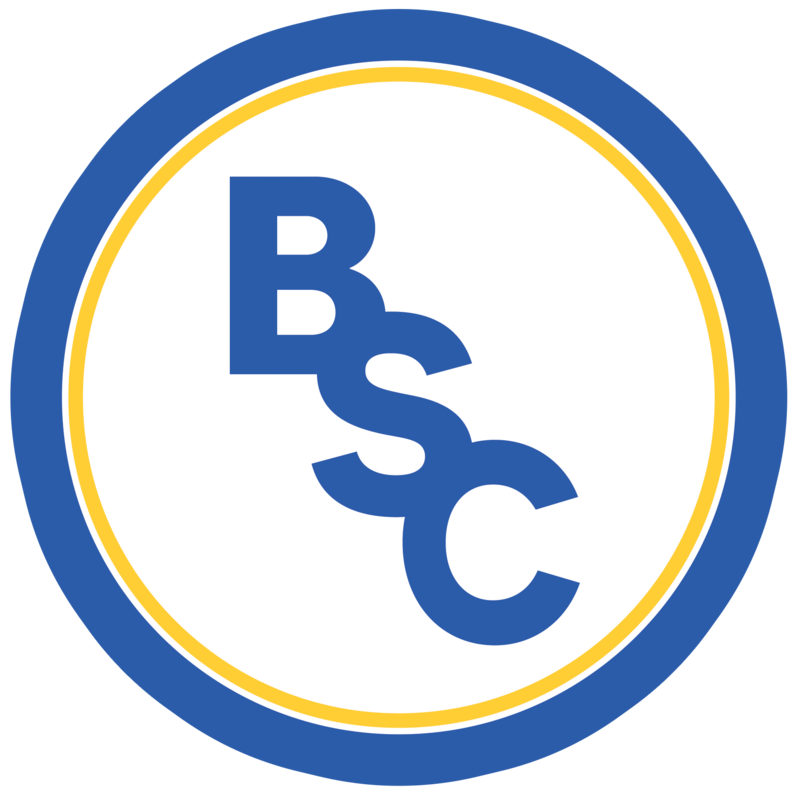 Mozza Manages BSC Part 6: Could It Be? We’ve reached the end of my first Lowland League campaign, and thankfully managed to finish on a high. If we can keep a core of this squad together, we’ll look to continue the momentum over to 2018/19 and have a right go at promotion – for now though, what better marker to lay down than gunning for glory in the end-of-season League Cup? There is no worse feeling in life than “what might have been”. The making of me as a manager will be how I respond to this – unfortunately, the league crown now seems to be out of our grasp. Up until now the boys have always pulled key results out of the bag when required, but the latest scenario saw us finally fall short. We’ve reached the turn of the year, and with it the January transfer window is set to open. Since I last posted an update we’ve had the classic rollercoaster of results – thankfully, the boys have delivered their gaffer a Christmas present to keep our chances of league glory alive. Well, here we are – I finally managed to sign a contract with a professional football club, achieving a boyhood dream! 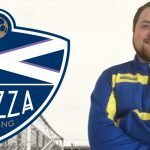 In case you missed it, Lowland League challengers BSC Glasgow signed me up as their official eSports Partner, and I’ll be taking over as ‘eManager’ for an ongoing series on the new club website. Sure, I never made it as a player, but at least this way I get to justify playing Football Manager as a job (the fiancée remains to be convinced) and avoid the fitness training! Realism is key. 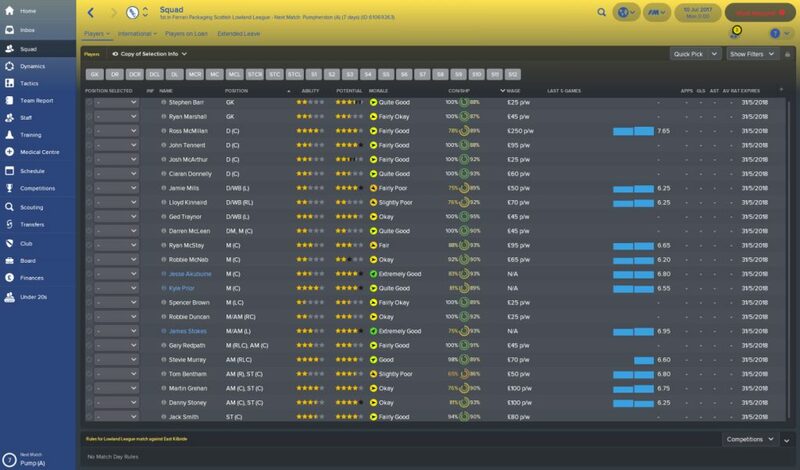 I’ll use the same squad as Swifty has from the start of this (2017/18) season, and will only be allowed to make any changes from the January transfer window – with the possible exception of an additional loanee. The backroom staff stay in place through the whole first season (assuming they don’t get miffed with my approach and leave themselves) and we’ll see what happens in the summer. Big Ross McMillan will be captain, as is the case just now. Here’s the updated squad that I’ll be leading into the Lowland League campaign. I take no responsibility for the star ratings, Michael Moore’s virtual alter-ego came up with those…and you wouldn’t pick a fight with him, would you? Expect to see these posted every second Wednesday, and do feel free to give me some feedback on twitter @MozzaPlays. I’m no Mourinho, which might be for the best given I’m trying to bring excitement to The Indodrill! Thanks for reading, and let’s #KeepFighting.